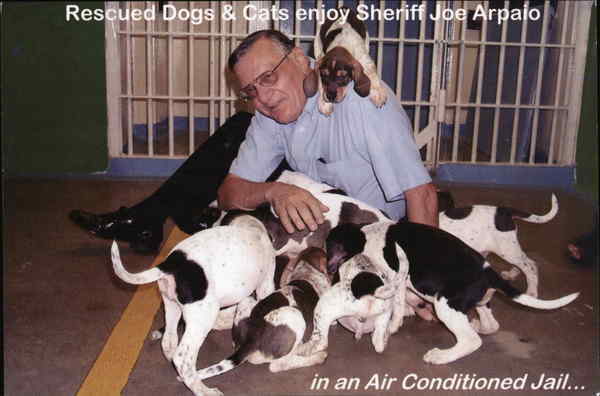 Joe Arpaio was still the Sheriff of Maricopa County, Arizona, when I met him in February 2015 at the Business of Saving Lives animal welfare conference hosted by the Helen Woodward Animal Center and held in San Diego, California. 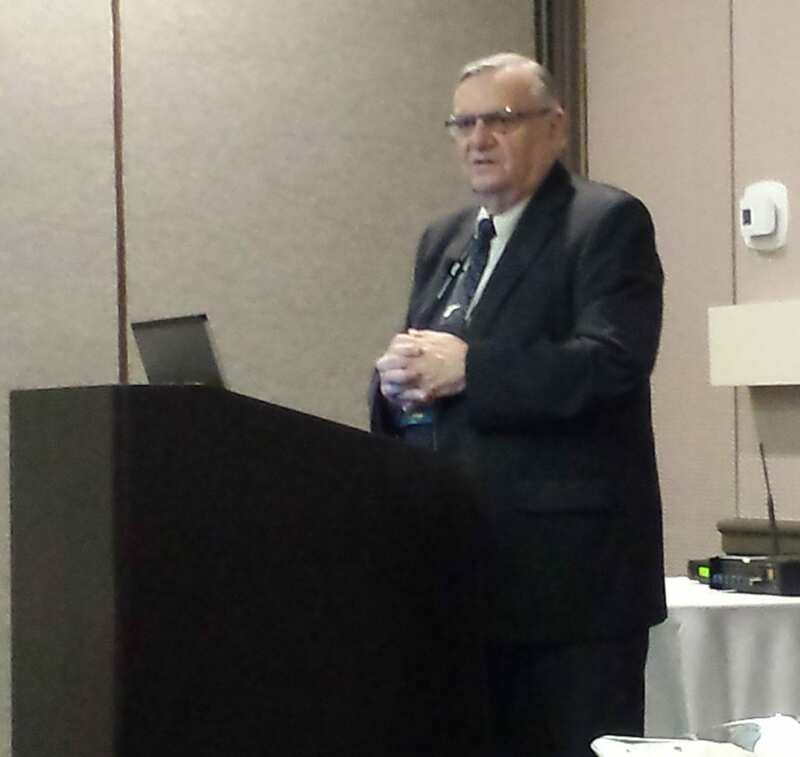 Arpaio was the conference keynote speaker. He answered about 10 minutes of questions following his talk, and I was able to sit down and talk privately with him for another 15 minutes or so. Arpaio, who began his long run as sheriff in 1993, was finally defeated the year after we spoke by democrat Paul Penzone. On Friday (August 25), President Donald Trump pardoned Arpaio. Trump’s pardon for Arpaio negated several accusations, including racial profiling. We began our conversion talking about dogfighting and animals held as evidence. By law, animals held in animal abuse and dogfighting cases are often required to be kept as evidence until a judge hears the case. 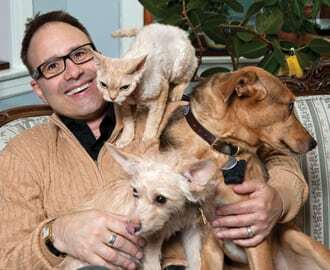 In many communities, such animals are euthanized, clearly to no fault of their own. Not in Joe Arpaio’s jurisdiction. “These animals have done nothing wrong,” he said. What’s more, as shelters and rescue groups struggle to find space when animals are confiscated from hoarders, Arpaio has literally opened the local jail for them, as well as animals held as evidence. Usually, their incarceration doesn’t last long, as most of these pets are adopted. While in jail, inmates help care for the dogs and cats inside, as well as horses living on the property. In 1993, Arpaio moved prisoners from the jail into his now-famous outdoor M-A-S-H units, literally living in a tent city. “It’s 130 degrees in the summer, and we don’t allow salt,” said Arpaio. The sheriff touted that he’s saved on the jail food budget by carefully restricting prisoners’ diets. For example, no meat is served, and no condiments. “I’m all about heath. Isn’t a vegetarian diet healthy?” he asked, smiling wryly. Soon after prisoners moved into the tents, the critters took over the jail. At the time of the interview, there were 100 dogs and 80 cats, with about 50 more cats on the way, the result of a recent hoarding case. 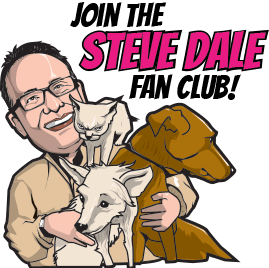 The pets eat quality food, they have toys, dogs are exercised on a rooftop deck and in the yard, and the animals live in air-conditioned comfort. What Arpaio hadn’t done is to study the rate of repeat crimes (recidivism) among the prisoners who work with the animals vs. those who don’t. Anecdotally, he noted that most prisoners build confidence, take their animal care responsibilities seriously, and may even build a sense of compassion through the experience. Arpaio says this activity is advertised on Craigslist. Using standard undercover police techniques, he’s caught and arrested seven individuals since 2012. “These aren’t the scum of the earth; they’re professional, sophisticated people doing this,” Arpaio said. He’s written to the CEO of Craigslist to ask for cooperation, but hasn’t received a reply. 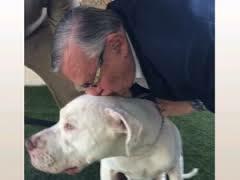 Arpaio said he had always does right by the animals because “it’s the right thing to do,” but conceded it can be frustrating when other public officials don’t support those efforts, and the U.S. judicial system doesn’t take these crimes (against animals) seriously. “They (the judges) say there’s no room in the jails. Well, I will find the room,” he said. Following the interview, proud of his moniker, “America’s toughest sheriff,” I said “Thanks for your time, John Wayne (I was referring to the actor). Arpaio gave me a big smile and a thumbs up as he left the room.